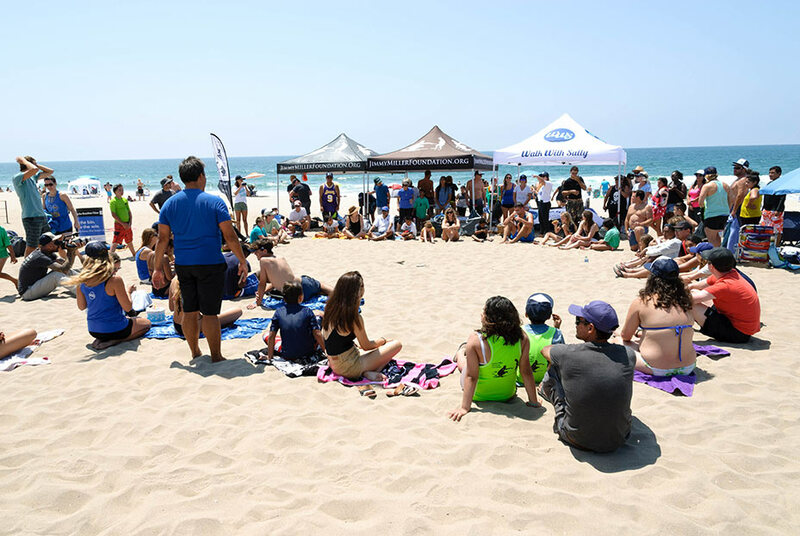 4th Annual Surf Day Friendship Activity Success! Like summer, our surf day came and went so fast! 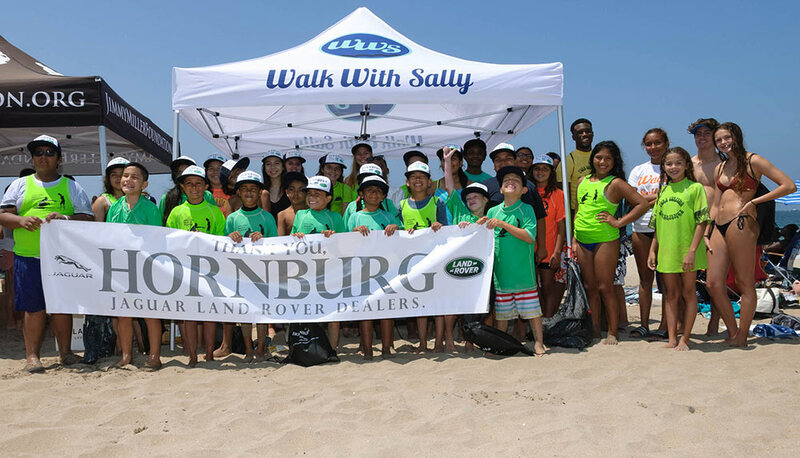 Walk With Sally brought the children, mentors and families in our community together to experience surfing, overcome fears and enhance our awareness. Mentors, mentees and families connected and enjoyed each other’s company, despite battling cancer and going through hard times. 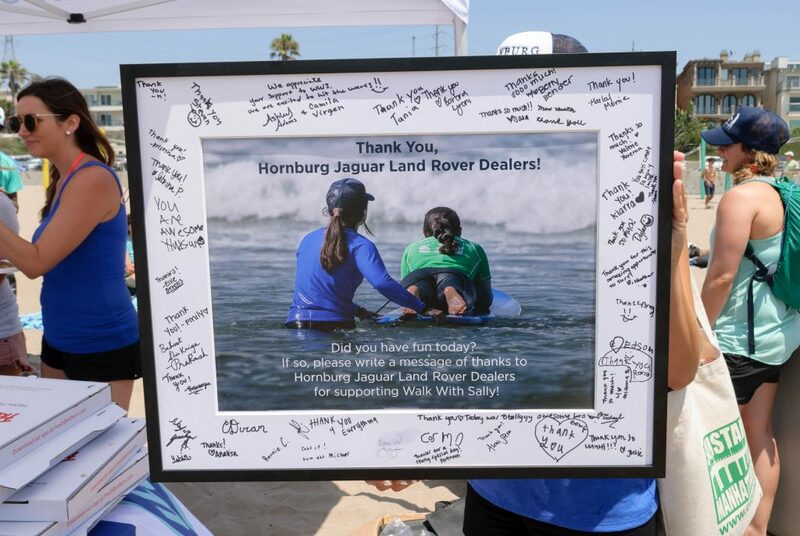 Aside from our wonderful sponsor we were also supported by the Jimmy Miller Memorial Foundation and Camp Surf, our partners who help make surfing a reality for children who would never dream it possible. The instructors and volunteers changed the minds of our mentees from fear and uncertainty to courage and confidence. We saw Yahir, age 11, challenge himself and catch a wave on his belly smiling from ear to ear. 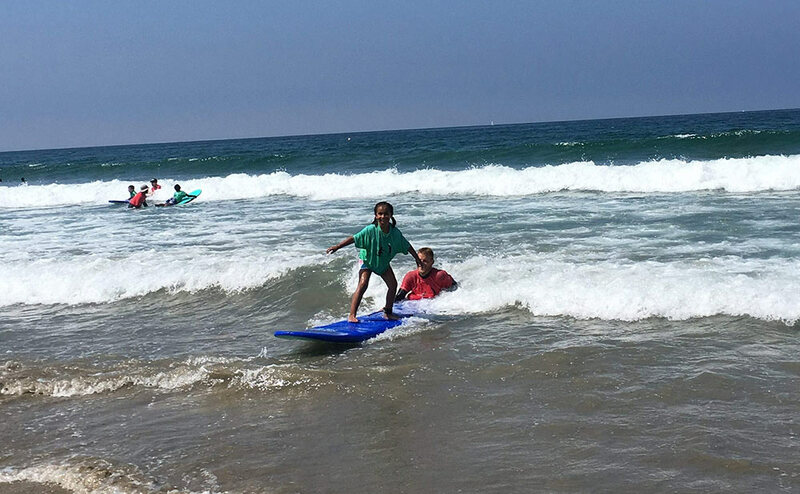 Camila, age 10, was overwhelmed by the waves, but determined to try. Arianna and Kristina, ages 16 and 15, caught their first party wave! We often underestimate the power of the ocean and it’s ability to challenge, teach, heal, and remind us to just have fun! This Friendship Activity provided 44 mentees and 150 members of our community with belonging, connection, love and support. Our theme for the day was awareness. How can we remember to be in the present, take in who is around us and sit in gratitude for what we have? We wanted our mentees to acknowledge their mentors and parents for forming a positive part of their cancer journey and connecting them with opportunity and access. When we are aware, we are connected with the present and how it makes us feel. We asked Naivy and Paloma, ages 14 and 16 what their favorite part of the day was, and they said “Surfing and being here with everyone in Walk With Sally!” We also asked Tania, age 9, if she was having a good time and she yelled “Of course I’m having so much fun, I caught 1,000 waves!” Awareness of the present, at our surf day, meant happiness for most of our mentees. We want to give a big thank you to over 45 volunteers that helped make this possible. Without their support and our very own FTK (For The Kids) Social Club our Friendship Activities would not be possible! This entry was posted in Appreciation, Events, Family, Friendship Activity, FTK, Mentors & Mentees, Press, Uncategorized, Volunteering, Volunteering and tagged awareness, cancer, cancer journey, community, friendship, friendship activity, healing, Mentee, Mentor, ocean therapy, sponsor, surf, surfing, volunteer, volunteering, walkwithsally.